4Com are a specialist provider of business telephone solutions. 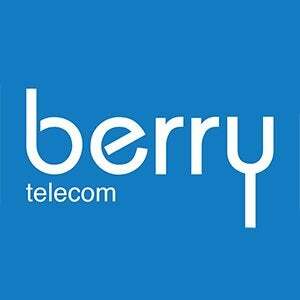 The company was established in 1999, and is now one of the fastest growing telecommunications companies in the UK. 4Com are a renowned and well-respected business with a great ethos. They’ve also been named in the Sunday Times Best Companies to Work For five years in a row. This is 4Com’s revolutionary new product that combines the ease of a phone call with the personal touch of a video call. It’s the product of over 17 years of working with businesses phones, and has user experience at its heart. Colleague not in the office? Not a problem – HiHi works from mobile, too. 4Com have a wide selection of excellent VoIP and traditional phone systems to choose from. This is by no means an exhaustive list – the more hi-spec phones have a whole host of special features you wouldn’t even know exist. 4Com handle over ten million minutes of calls every month. 4Com know that having a great phone system is all well and good, but ultimately you need the software to back it up. Theirs includes call recording and easy integration with your computer, and it will help you get the most out of your phone system. With the ability to analyse calls and call patterns comes the ability to tweak processes and maximise efficiency. There are plenty of business telephone suppliers in the UK, so what makes 4Com stand out? How have they gone from strength to strength since day one? When telephones form such an integral part of your business, it’s easy to postpone change for fear of disruption. Fortunately, 4Com have installing new systems down to a fine art – it’s really quick and will cause you little disturbance, and no downtime. 4Com have a dedicated UK-based call centre, and all staff have extensive training and telecoms experience – in fact, 4Com engineers have an average length of service of over seven years. 4Com’s experience not only means they offer tailored support, it also means they develop unique technologies. Products like the HiHi take into account everything they’ve learned about how businesses use phones during their many years of business. It’s clear that 4Com have an excellent culture at their core, and this translates into excellent customer service. Not only are employees motivated and positive, but they also communicate effectively between departments, meaning any issues are resolved as quickly as possible. The 4Com staff also take on lots of crazy challenges in order to raise money for charity. From a purely business point of view, this might not affect you directly. But partnering with a good company with honest values just feels… well, good, doesn’t it? Between November 2016 and November 2017, 4Com donated £100,000 to charities in funds and equipment. A small business with three employees? Great. A 100-person strong call-centre? No problem. 4Com are serious when they say that their solutions offer real value to businesses of all shapes and sizes. More importantly, they know that businesses need a phone system that will grow as they do. Their systems all fit the bill. See how HiHi has benefited Autofficina, an independent specialist service centre for Italian supercars. As you’d expect, tailored solutions come with a tailored price. Fill in this short form to receive a custom quote from 4Com and other leading suppliers. 4Com aren’t one of the biggest UK telecommunications companies for nothing. They offer systems with state of the art technology at affordable prices. They also have excellent customer service to make every stage of the process a breeze. Expert Market are proud to work closely with 4Com, and a number of other reputable telephones suppliers. Fill in this short form to receive your tailored quotes.